Fine pale red fabric with occasional medium lime chunks. Matte slip on interior, turning scratches on exterior; slip essentially same color as fabric. 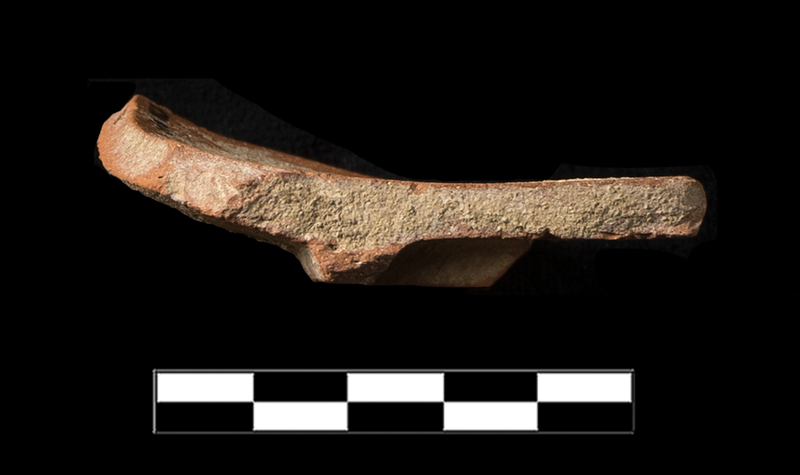 One sherd preserves roughly 1/6 of base and small part of lower body.